Say what you will about the sundry peculiarities of Ron Paul. His foresight regarding the current economic crisis is uncanny. Check out this quote from 2003. Like all artificially-created bubbles, the boom in housing prices cannot last forever. When housing prices fall, homeowners will experience difficulty as their equity is wiped out. Furthermore, the holders of the mortgage debt will also have a loss. These losses will be greater than they would have otherwise been had government policy not actively encouraged over-investment in housing. Perhaps the Federal Reserve can stave off the day of reckoning by purchasing GSE debt and pumping liquidity into the housing market, but this cannot hold off the inevitable drop in the housing market forever. In fact, postponing the necessary, but painful market corrections will only deepen the inevitable fall. The more people invested in the market, the greater the effects across the economy when the bubble bursts…. Weeeeell...it doesn't take a genius to figure out that people should not be giving people loans who can't afford to PAY THEM. 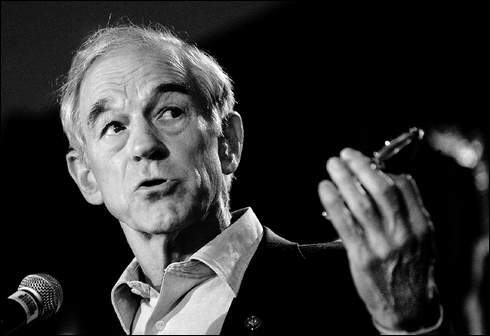 Ron Paul just has the guts to actually say it. Everyone else is just worried about how THEY can make the most money off of ANYTHING. Agreed. However, the majority of our legislators couldn't seem to figure this out 5 years ago when they had the ability to stop this social engineering catastrophe.